The closing ceremony was all about celebrating the hard work that the participants, barcode team and all the other cells like editorial cell and IT cell, put in. The chief guests for the event were Mr. Sujeet Jain, Mr. and Mrs. Sripal Gandhi, who were accompanied by the Director, SIMS and Professor Asha Nagendra . A token of gratitude was extended to all the organizers, sponsors and the barcode team. Winners for various events like pittu garam, basketball, treasure hunt, face painting, lan gaming , arm wrestling , tug of war were announced. The dignitaries were called on stage to distribute the prizes. This event was a major hit with the batch 2013- 2015. 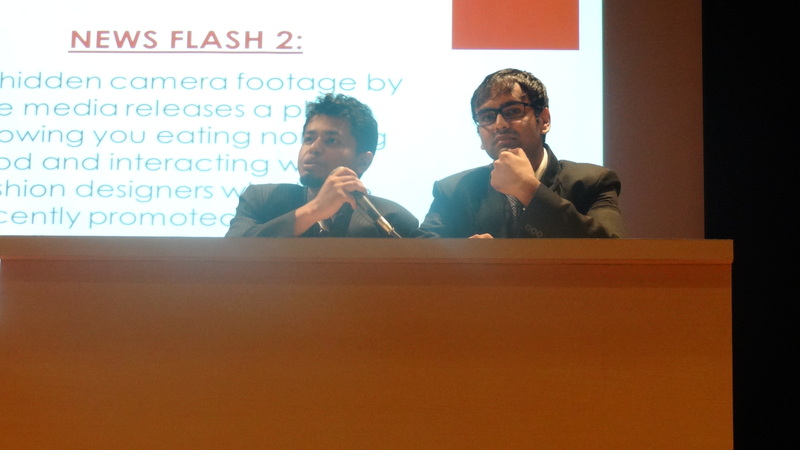 The participants in teams of 2 had to answer questions posed to them by the batch emulating a press conference scene. 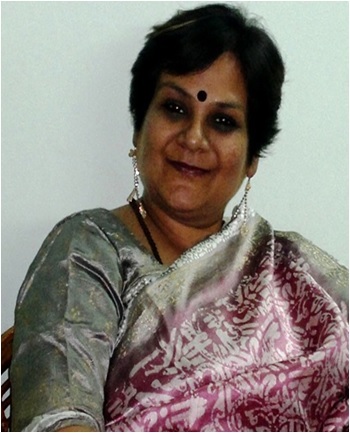 The judge for the event was Ms. Shikha Kochar, a SIMS alumus. The question answer round was for 15min followed by questions from the judge which was for 5 minutes. Team 1 was Radhika Kamara and Ankita Bose. The situation given to them was that they were trustees of a temple that was nearly 800 years old. The media accused them of using the public’s money for buying expensive items for personal use and also fleecing the devotees in the name of God. Team 2, Nikita Holkar and Piyush Taori. The situation given to them was that the amusement park they owned, a major water ride collapsed resulting in a number of people dying and several were injured. There was negligence on the part of the security guards that resulted in the mishap. Despite the tough questions posed to them, the team stood their ground and put on a brave front. Team 3, Alok Paul and Manish Gupta. They had to act as celebrities who supported PETA and had publically turned vegan. Despite the vegan image they were trying to project, they were spotted flaunting accessories made of leather and eating non vegetarian food. The team answered the media’s questions with a lot of confidence, poise and tact. 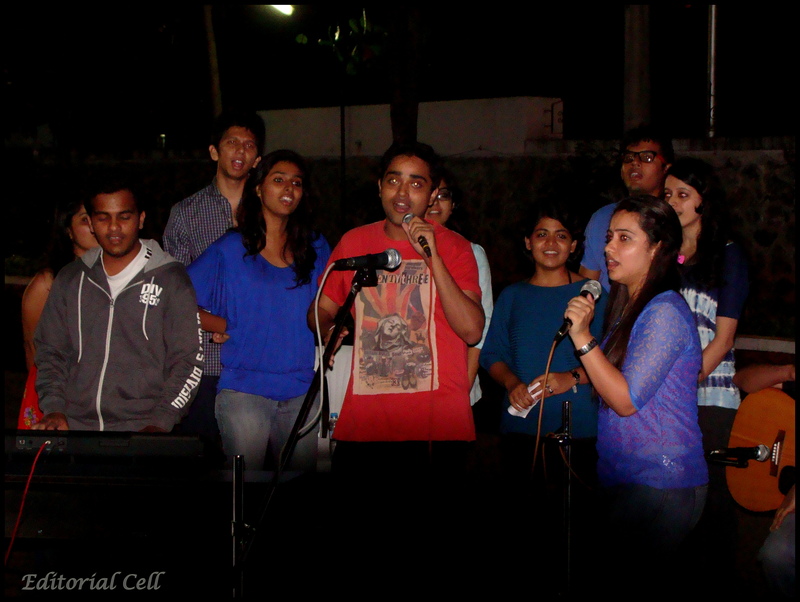 On the whole, the batch and the participants truly enjoyed themselves, playing their respective parts. This event was an interview round in which all participants had an interaction with Professor Sandeep Khedkar for 10 minutes each. In the one – on –one interview, each participant was asked about their experiences in the event till now, their take aways from the proceedings of the various events they were a part of, their views on the business world, hobbies and interests and what their long term goals were. Inspite of the immense pressure that the participants have been going through, each one of them performed well in their interviews and enjoyed conversing with the interviewee. Patience is being checked and theses are testing times. This task had the contestants on the edge. 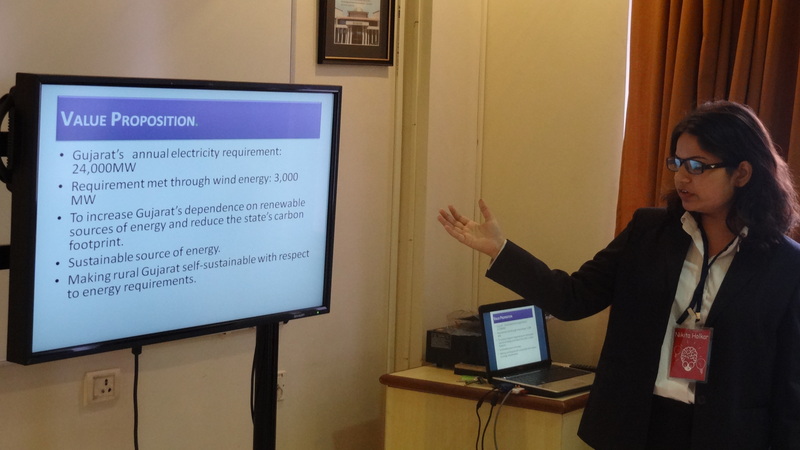 The theme was renewable business plan and they were expected to come up with company profile, financials and operational, marketing and human resource structure. All this was to be designed for the urban target market. If all that wasn’t enough they introduced a twist in between after they had contestants toiling for one hour; that the entire presentation had to be changed for the rural market instead. All this was to check participant’s ability to handle unanticipated problems and changes. It was breaking point then! ‘Who would be left standing till the end’ was the question on everyone’s mind. the maximum number of marbles was the announced as the winner. 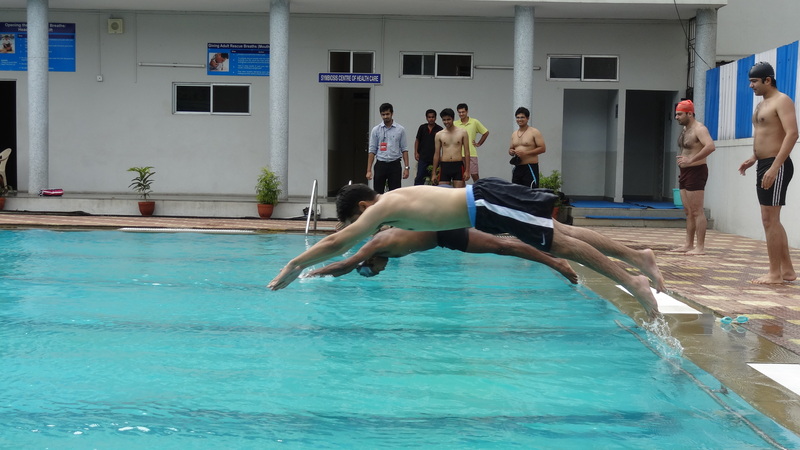 The second event was a relay in which participants were divided in teams of 2. The teams showed exemplary team work and sportsmanship while participating and each team did their best to win. Yash Sharma of division A was adjudged winner in both the categories. Teams made crazy ads of the products given to them. Crazy were the products and crazier the ads. This, an extremely popular event through the fest invited a huge amount of participation. 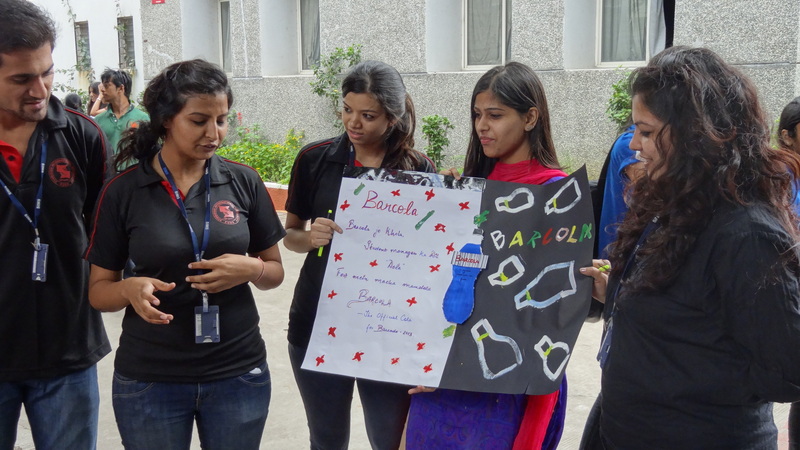 Here, topics were given to the participants and in a small span of time they were expected to create advertisements, complete with jingle et al and present to the judges. MadAds turned out to be an instant hit. The theme for the event was an advertisement on ‘A Deo’. An event that aimed to find out who is the strongest and fittest, King of the Gym, had all the contestants huffing and puffing their way to do another push up or crunch or just pick the weights one more time. Each contestant strived hard to outdo the other and win the coveted title of the ‘King of the Gym’. This event had all the photographers of SIMS ready and geared with their state of the art cameras. All the DSLRs and Canons were set, positioned and ready to click away. The theme of the event was, ‘Taste of the Street’. Each team was given 30 minutes to click and upload their photographs on the Barcode FB page and put forward their rendition of the theme. The warm glow of the holy lamp marked the beginning of the much awaited Labyrinth – Barcode 2013. 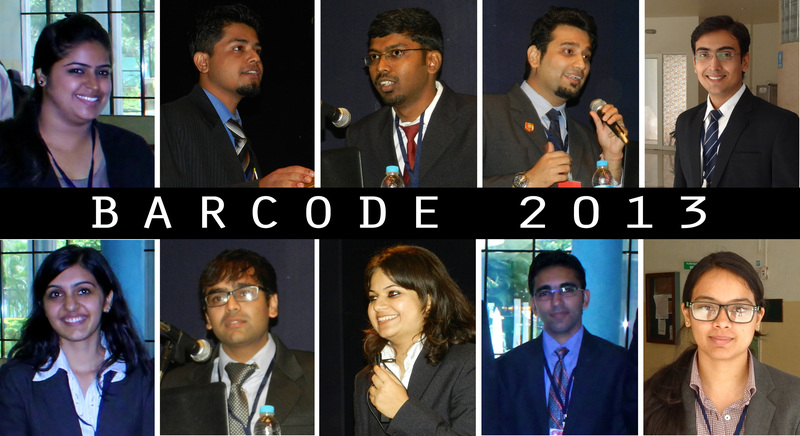 Barcode 2013 – the best one yet, jumpstarted with the Barcode introduction video which had everyone on the edge of their seats. Barcode event is in fond remembrance of Late Prof Devan Dhanak, a beloved former faculty of SIMS. Barcode this year projects a life with thrills, a life with challenges and a life much desired. It encompasses in total 420 events. As is the tradition, our esteemed director graced the audience along with the participants with words of encouragement and appreciation. The director’s speech paved way to a multitude of events. Amongst the myriad of events planned, introduction of the TEN VERY BEST CANDIDATES from all across the country started off the roller coaster ride. Sur, the singing club struck the right cords with SIMSites as they presented to a us a much needed respite from our busy lives by treating us to the choicest of melodies. The event marked the start of the pre-events for Barcode 2013. 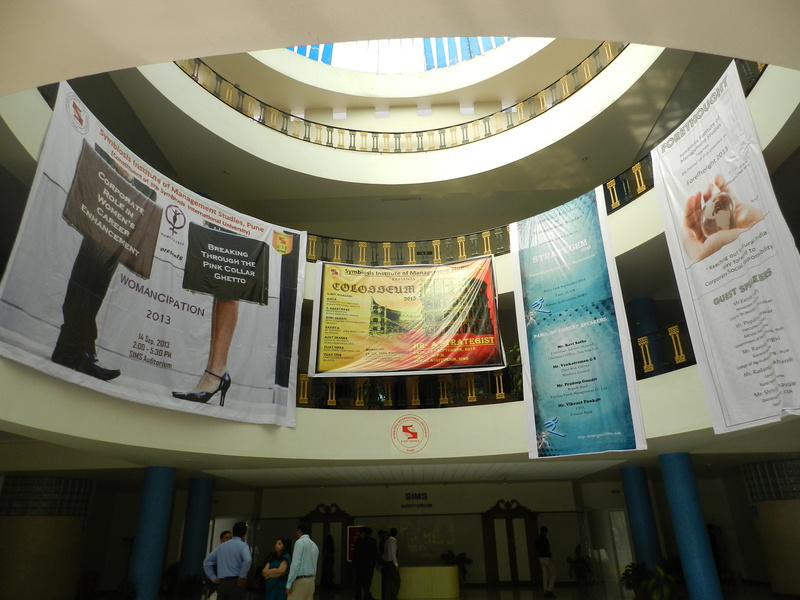 Barcode is 36 hour management fest organised by Symbiosis Institute of Management Studies. Onam was celebrated with much zeal here at SIMS. 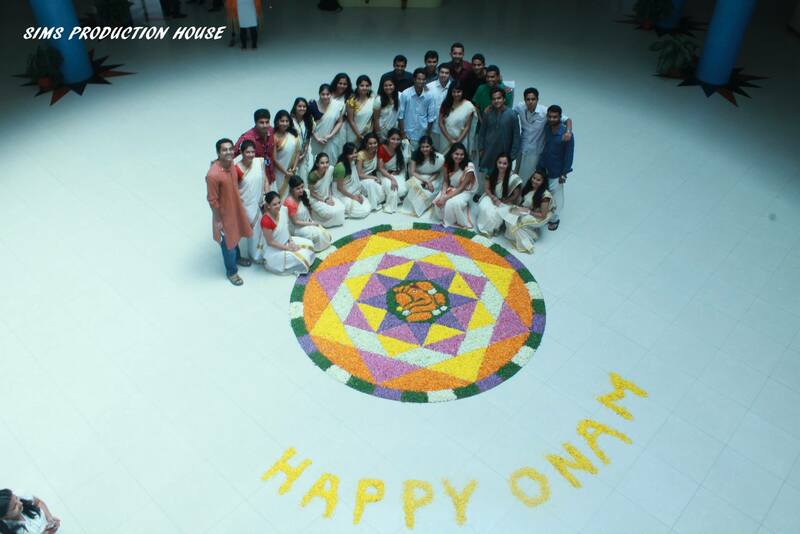 The students of junior and senior batch of MBA formed a COT (Core Onam Team). The COT was solely student run. The celebrations consisted of a song and dance performance in the morning and a traditional Keralite lunch in the afternoon. The Ada Payasam was a sure favourite among the students and the faculty. Market Beat is an initiative by the E-Cell of SIMS. Eight participants contested to market their food stalls; in the end 2 teams, one from the senior and junior batch respectively got the chance to set up their venture in SIMS. 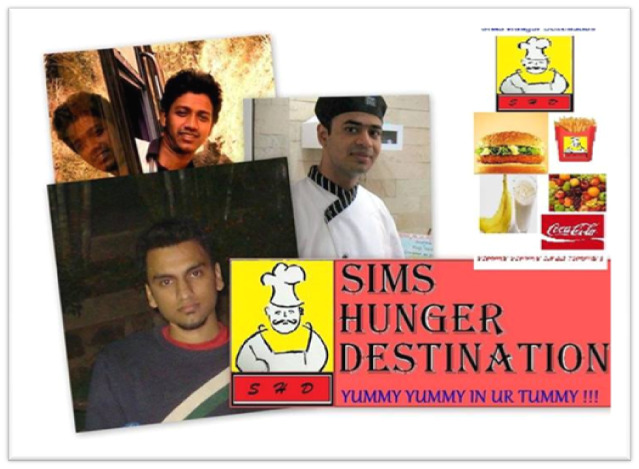 In conversation with the co-founders of Sims Hunger Destination, Rakesh Roushan, Surjeet Roy and Mandeep Singh. Rakesh Roushan, an IHM-Mumbai alumnus has 4 years of work experience having worked in important designations at McDonald’s and Tata. Mandeep Singh is a fresh graduate engineer and Surjeet Roy is an engineer with 3 years of work experience at Infosys. ‘ InFinite Club’ – the organizer of this event is a technical club of Symbiosis Institute of Management Studies that organizes the annual event- Strategem. In this event, eminent personalities from the industry are called to share their experiences with the student managers. 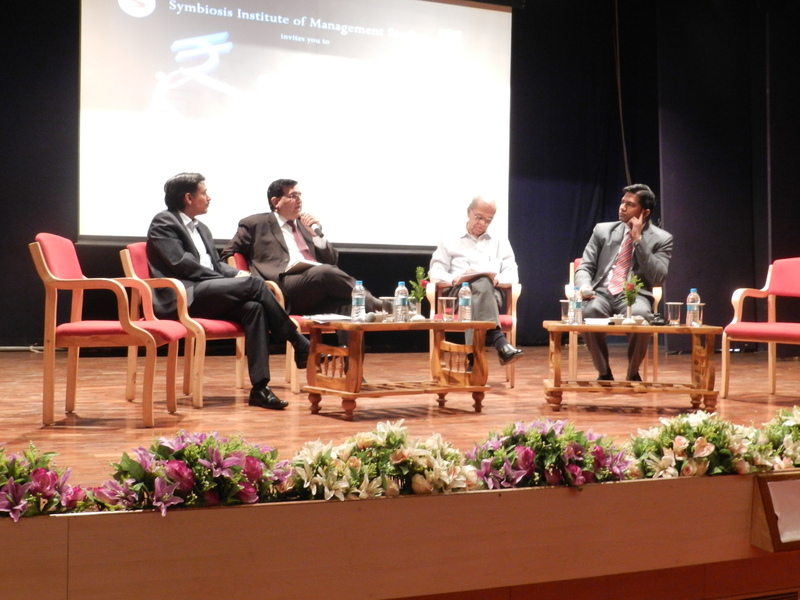 This year the event saw a varied panel of speakers from various sectors in the industry. The moderator for the panel discussion- Mr. Pradeep Gundre, an alumnus of SIMS, introduced the topic to the Student Managers marking the start of the event with a humorous yet insightful take on the current situation. As part of the Annual Colloquium Series organized by the Research Cell at SIMS, on 13th Sept SIMS organized two events: 4Thought 2013 and Colosseum 2013.